The Rams may be looking North of the border again for the replacement of Jason Shackell. 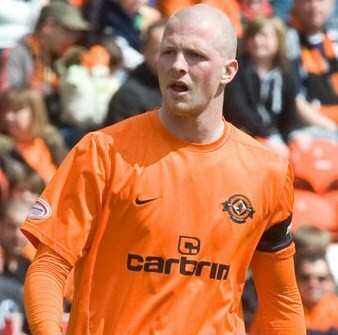 Rumours concern the possible move for Dundee United Central defender Gary Kenneth. Kenneth has just celebrated his 25th Birthday and at 6 feet 4 inches in height is in the Jason Shackell mould. Said to be a combative defender he would certainly add a bit of bite to the Rams back line. Playing 163 times for Dundee United between 2004 and 2012 Kenneth also has two full Scottish International caps to his name and being out of contract at Dundee United, it would seem a very opportune moment for Mr Glick and his scouts to put the feelers out and come in with a realistic offer to Kenneth.